1 D None No Power Seat 1 D is designated by Air Canada as a Preferred Seat. An extra surcharge must be paid to reserve this seat. Elite level members in Air Canada's Aeroplan program may reserve this seat without charge. 1 F None No Power Seat 1 F is designated by Air Canada as a Preferred Seat. An extra surcharge must be paid to reserve this seat. Elite level members in Air Canada's Aeroplan program may reserve this seat without charge. 10 C None No Power Seat 10 C has extra legroom as there is no seat ahead however, this seat has no under-seat storage and no tray table available which may be bothersome. 4 F None No Power Seat 4 F has extra legroom. Complementary snacks and drinks are provided on most flights. There are 34 of this aircraft type in the Air Canada fleet - operated by Air Canada Jazz. 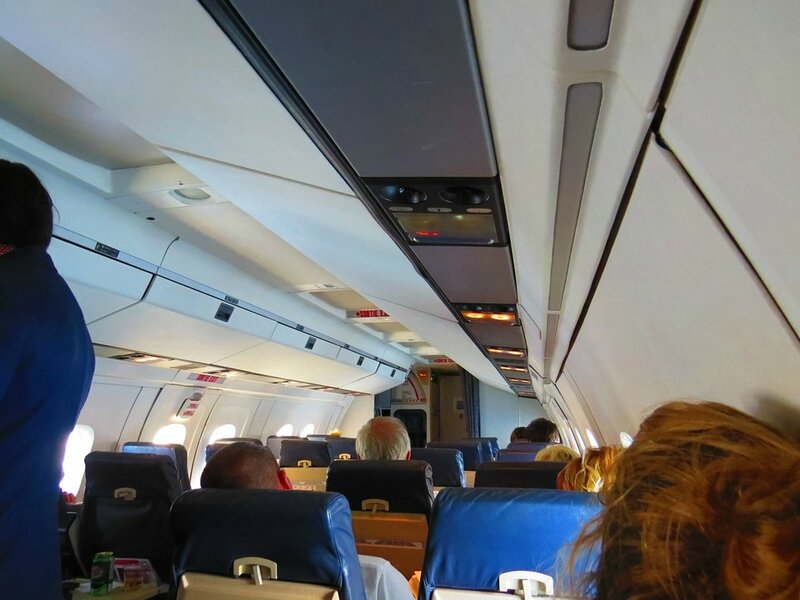 None of the seats on this aircraft recline and there is only a limited inflight service as these aircrafts typically operate only short haul services. Labelled a Preferred Seat because it has more leg room, which is true, but it does not have a tray table. This is a BAD seat because of the little wall in front of you, so unless you're small, you want to sit somewhere else. The Toronto-Hartford run takes 2 hours, and by the end of it, I was getting serious leg cramps. 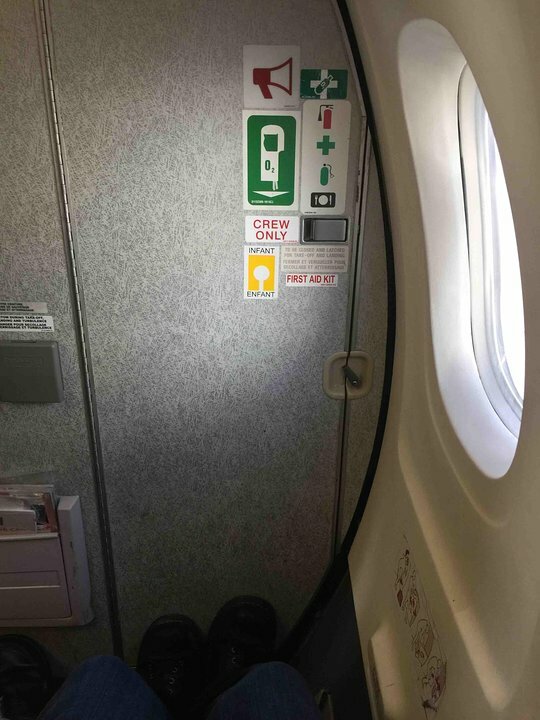 There is a half wall between 1A and the exit door, which severely restricts leg room to the point that my knees almost touch the wall (I'm 6'2"). On a short ~90 min flight, it was almost unbearable by the end. This seat should be marked as a "bad seat". You have no tray table, only a small cup holder. Since you're in the first row you also can't have any hand luggage during take off/landing. when you book 9C you think you are getting an aisle seat but row 9 and 10 are all one row. There are 5 people crammed in one row. I had somebodys head on my shoulder as they kept falling asleep. the flight was 90 minutes long. The Dashes are loud, which makes it seem like youre in the air longer than you are. There is no table tray for seat 1A (or any row 1 for that matter) however there is a cup holder. There didnt seem to be any restricted legroom (I'm 6'2). It was nice to be the first off the plane, and sky check had my bag the moment I walked down the stairs. These planes are good for shot haul but 48 minutes in the air is pushing the limits for comfort. I wouldn't call 10C a good seat either. Mixed, maybe. There's legroom, but you are crammed between other people who all have to climb over you to get out of the row. The worst part for me is that with no seat in front of you, you get no under-seat storage nor a seat-back pocket, so there is nowhere to put anything. You also don't get a tray table so when they served my beverage the person next to me let me set it on hers. It's a small plane used for very, very short hops - think 45 minutes. And thank god you only have to spend less than an hour on these planes, as far as I know. It's a very small and cramped plane, not surprisingly. If you sit in the back, you can feel luggage getting tossed against the partition between the seating and baggage areas. It's also a very buzzy and loud flight, probably due to the propellers. Seqt 10C is hardly what I would call a good seat. You are squished in the middle of five seats. It would be fine if you were tall and skinny. I am neither, and my feet didn't quite touch the floor. I couldn't put anything in front of me to use a a footrest because the aisles have to be clear. It would have been a tortuous flight had a regular seat not opened up at the last minute. 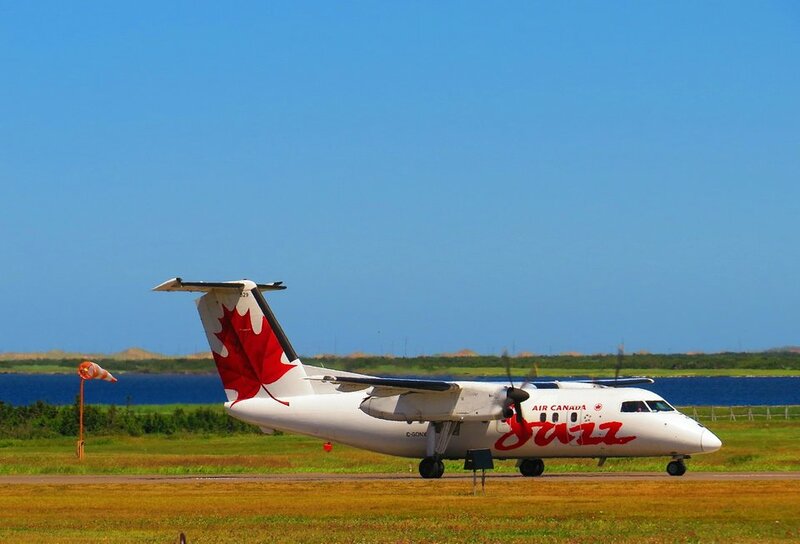 Air Canada flies 1 versions of de Havilland Dash 8-100.